Last Friday 20 January 2017, our team in South Australia completed the Tour Down Under Community Ride in Adelaide. Peter Lornie, Matthew Baxter, Stuart Bridgman, Jack Gibson & Damien Lornie rode over 111km through the winding roads of the Adelaide Hills from Birdwood and Campbelltown. The ride was completed in 4 hours and 54 minutes where the riders climbed a total of 1,174 metres reaching the highest peak of 524 metres before racing down the famous Gorge Road at a maximum detected speed of 82.4 kph. 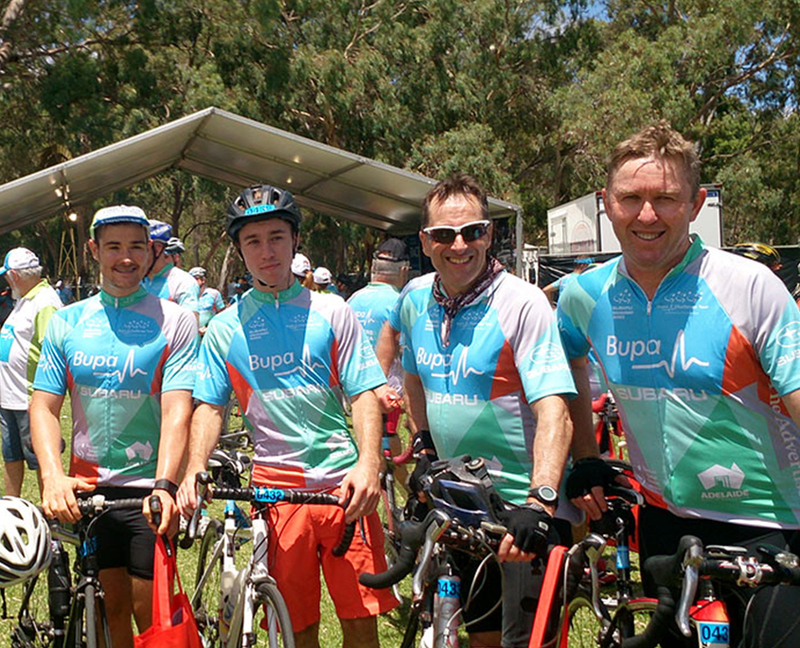 The aim of the ride was to raise money for the Cure Brain Cancer Foundation. The initial goal was to raise $1,500. At the time of publishing the team had raised just over $3,900. The team would like to extend a sincere thank you to the generous supporters for this most worthy cause. Each dollar raised will go directly to the Cure Brain Cancer Foundation to help support their mission to increase the five-year survival rate from 20% to 50% by 2023.